I look forward to speaking at tonight’s PMICIE dinner meeting on a topic that is close to my heart! 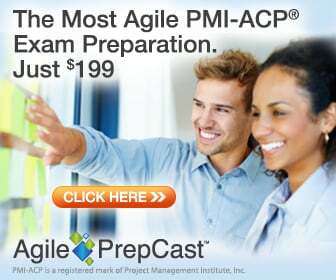 Since who cares if you’re an expert project manager and/or know everything there is about it if you can get paid to do it! I’ve given this talk multiple times at multiple PMI chapters throughout Southern California and I think the popularity rest with the fact that careers as we used to know it no longer holds true. Details below. Is your project management career becoming redundant or are you building redundancy in your career? This is an important question to ask yourself. Because at some point you may start to realize that you have a repository of experiences, competencies and skills that should be packaged and sold like a business, rather than getting yet another job and slogging through the perpetual and redundant cycle of full-time employment, which is no longer what it once was. This is a provocative statement to say, but then these are provocative times. Don Kim lives the very life of constant career transitions because he was a one-time aspiring Philosophy Ph.D. student who became disillusioned with the entire tenure process and decided to do something else. He somehow became an owner of several franchise businesses (which included an Arco AM/PM gas station, mail and shipping center, etc.) while also teaching himself to program software during his free time, and selling it on the side. Don found a way to leverage these skills to transition back into the workforce initially as a software developer. This included a short stint in a start-up cutting code for an artificial intelligence call center system, as well as working for a boutique consulting company developing web applications for Fortune 100 companies. A major shift in Don’s career occurred when he discovered the field of Project Management, which seemed to integrate and reconcile technical knowledge, emotional intelligence and business management skills into a perfect marriage. Since then he has never looked back. In the last decade, Don has been involved in the field of Project Management, initially as corporate employee and now as an independent consultant, trainer, coach, educator at four universities and colleges, writer for several industry publications, and event speaker. Don is also the founder and owner of one of the world’s most popular Project Management portal websites at www.projectation.com. *Our sponsor Cornelius Fichtner from OSP International will be raffling off one of the following for free, which can be used by both aspiring and current PMPs & PMI-ACPs. So please join Don Kim and other Southern California Project Managers to discover the multitude of career opportunities, alternatives and methods of building redundant resiliency in your own career. We’ll see you there! Transitions are the key word!